Well, the holiday’s are just around the corner, CAN YOU BELIEVE IT!? This New Cumberland Photographer can’t. I feel like we just started 2018 and here I am about to give you my tips for purchasing a camera for the holiday’s. WOW! Time really does fly by. So instead of remaking the wheel for my 3 Tips To Buy The Right Camera this holiday season, I’m going to direct you to my blog from last year on this topic. In fact, last year, I gave you 5 TIPS! BUT, while we’re on the subject of cameras, I’m sure that some of you have a DSLR and have it set on auto and are plugging away taking OK pictures, RIGHT!? Well, I’d love to help you get that camera off of auto and onto manual so you can see all of the amazing things it has to offer. I mean, you spent all that money on a camera that you can choose different lens’ for and don’t get me wrong, it’s pretty smart. BUT, it doesn’t see what you see or know what you want the image to turn out looking like. Only YOU can decide those things. But if you have that DSLR set to auto, you’re not getting the full features out of it. I took a poll earlier this month on what people wanted to learn about their DSLR cameras and basic photography. I asked several questions, one of which was “What would you most want to learn in a photography class?” I gave 4 options 1-How to make the pretty blurry background 2-How to stop taking blurry or out of focus photos 3-What camera or lens I should buy to take better photos 4-All of the above Almost 71% of the people that answered said ALL OF THE ABOVE That tells me that a lot of people have fancy cameras set on auto. One person even asked “What are all of the buttons?”. Totally fair question. There are a TON of options on your fancy camera. 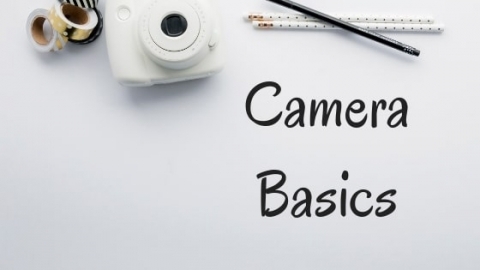 Because there are so many options on that fancy camera and I want you to know how to use it to take amazing pictures of your kiddos or pets or vacations, I’m offering you a Basic Digital Photography Class. This class will be at a THANKFUL price of $99 from NOW until November 25 at 5pm. At that time, it will go up to $125! Because you are one of my mCP VIP’s OR you were one of the wonderful people that completed my camera survey for me, you get first dibs on the class. The class is available for any age group, however, if I have enough interest in a teen version, I may offer that for teens/tweens only. The minimum number of students will be 2 and the maximum will be 10. AND, because I know it’s the holiday’s and money can be tight, I’m offering 2 payments of $50 +tax each to help you have a happy holiday season! you just have to email me and let me know that you need this offer! How can I help you best?